There is plenty to watch at the Fruit Logistica in Berlin. 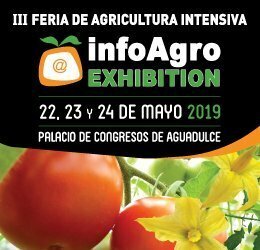 It is the largest fruit and vegetable trade fair in the world. It brings together fruits which are the showcase of the country or region they are grown in. Exhibitors spare no effort to make their stands extremely attractive and promote quality. An experienced observer will be interested in something more: the momentum of new production powers. One example are Polish producers of blueberries. Polish producers of blueberries have gone an interesting and ambitious way, which can be seen from the perspective of the trade fair in Berlin. From scattered stands a few years ago to a consolidation that has given them the position of the largest producer group in Europe. This year, they once again jointly organized an impressive stand, which promotes the production standards in place in Poland. 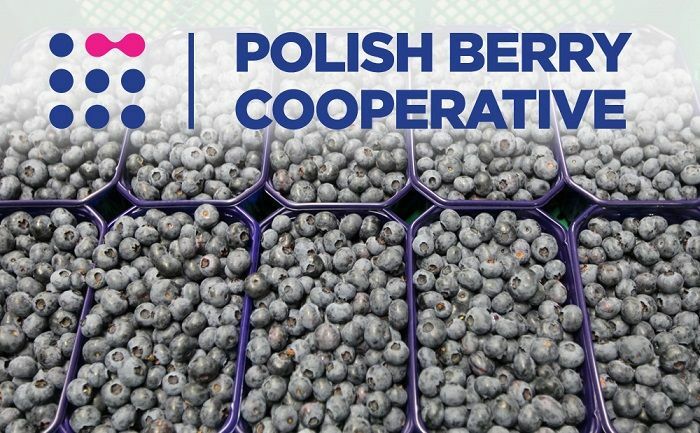 “Polish Berry Cooperative was formed in response to the challenges of the global market and the power of the countries which we have to compete with. We have based our competitive edge on global markets on our production standards. Our plantations are located in ecologically clean areas, on acidic soils which are the best for growing blueberries. The time from picking to pre-cooling the fruit, already at the plantation, is of key importance. The standard developed by the Polish Berry Cooperative is 30 minutes. This result makes an impression, and makes a difference” say Dariusz Zęgota, Dominika Kozarzewska and Mateusz Pilch, the founders of Polish Berry Cooperative. Consolidation of activities has allowed Polish producers to grow their exports to over 20 countries on 4 continents, including Malaysia, Singapore, Hong Kong and Japan – the most demanding markets in Asia. This year, PBC focuses on strengthening its position in the industry, but the blueberry produced by Polish companies is already viewed as a showpiece of the country, just like kiwi for Italy, pineapple for Costa Rica or orange for Brazil. “The best product from Poland? It could be blueberries, all kinds of berries. For Costa Rica, I’m sure it is pineapple. Their taste is unmatched throughout the world. If you cool pineapple right after harvest, you give it a kind of a seal. By keeping it at a low temperature, the product retains the same sweetness it had right after picking. The quality of the cold chain is essential” says Alexander Roman, Director at Procomer, a representative of Costa Rica – the world’s largest exporter of pineapples. “Just like you, the Poles, are proud of your blueberries, we think that Italian kiwi are the best in the world. We pick our kiwi in late November, after which it is absolutely critical to keep them at zero degrees, yet without freezing them. We are proud of them. They are a very important fruit that has a lot of properties and plenty of vitamins and minerals – everything that your body needs in winter” says Cristina Stamate, Export Manager at Kingfruit Srl. “Poland has surprised many people as it has managed to mark its presence as a successful producer of blueberries, and its position is very well deserved. Now Poland is the leader of the category at certain times of the year – all the big companies are buying in Poland, and they do it because they know they can expect a product with good quality, at the right price, with stable supply, in the desired size and appropriate packaging. And this is the key to success in the fruit industry. We should have strong producers in Europe. I wish Poland to continue to supply products to the markets in Europe, and actually markets around the world. I wish Poland continued success!” says Chris White, Managing Director at Market Intelligence, the publisher of global magazines for industry decision-makers, including Eurofruit and Asiafruit. What is Poland going to surprise Berlin with in 2018?